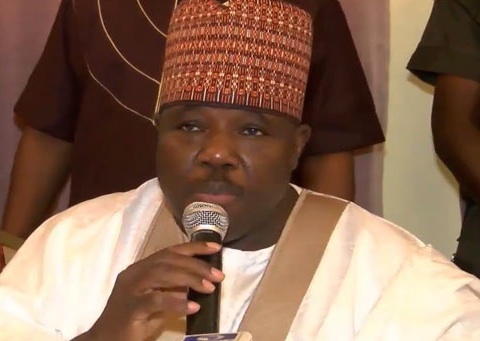 The factional National Chairman of the Peoples Democratic Party, Ali Modu Sheriff, has said that the Independent National Electoral Commission cannot reject the candidate of his faction for the Edo governorship election. He, therefore, described as rumour the adoption of Pastor Osagie Ize-Iyamu by the commission as the party’s candidate for the September 10 governorship election in the state. The Sheriff faction of the party had presented Mr. Matthew Iduoriyekemwen, who emerged winner at his faction’s primary, as the party’s candidate for the election. INEC however said it would base its decision on a Port Harcourt, Rivers State Federal High Court’s ruling, which recognised the Ahmed Makarffi-led National Caretaker Committee. The commission said unlike the Sheriff’s faction, it monitored the party’s primary that produced Ize-Iyamu. In spite of the court decision which the commission said it based its judgment on, Sheriff said he was still sure that the commission would remedy what he described as a mistake. But Makarfi believed that dialogue and reconciliation still remained the best option for the resolution of the crisis in the PDP. Both men spoke on Wednesday when they played host to different political and professional groups on solidarity visit. Sheriff, who was represented by his deputy, Dr. Cairo Ojougboh, when members of the Young Professionals from South-South visited him, described the adoption of Ize-Iyamu as the PDP candidate as a rumour. But Makarfi, who spoke when he played host to the PDP North-West zone, said his committee had not yet foreclosed window of peace with the Sheriff faction.